Andrea Bargnani’s return lasted one full game. The injured-plagued foward/center is back on the sidelines after re-aggravating his right calf just one minute into tonight’s game against the Pistons. 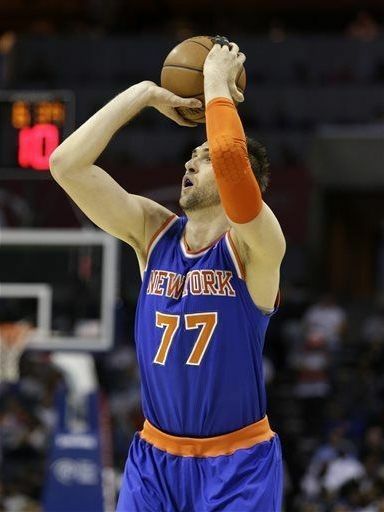 Bargnani made his season debut on New Year’s Eve, scoring 9 points in 19 minutes in a 99-78 losing effort to the Los Angeles Clippers. Bargnani has played just 20 minutes this entire season. ENOUGH! Remember we gave up two draft picks for this man last year? The Raptors are very grateful for that misstep. If the Pistons could figure out a way to drop their most expensive player in Josh Smith, we surely can figure out a way to get Bargnani out of here.